Apple Music launches next week – the iPhone's makers own music streaming service to take on Spotify and Deezer – however a major name from the producing scene reckons that its lack of high-resolution audio is a missed opportunity for the tech giant. New York-based producer, mixer and engineer Chris Tabron has a few words to say on Apple Music. The leading producer – who has been in the recording studio alongside the likes of Beyoncé, Common and Mary J Blige – suggests Tim Cook should have set the market standard by offering higher resolution audio on Apple Music. Speaking on a panel at the iconic Jungle City Studios in New York, Tabron explained why he was disappointed that Apple opted to go for the 256kbps bitrate, which is below the 320kbps offered by the likes of Spotify and Deezer. "I think that a company like Apple has missed a bit of an opportunity with the new service that's coming, because with the iPod, iPhone and iTunes being so ubiquitous, it's a large reason why people are so used to compressed music," Tabron commented. He added: "If Apple launched this service and then said, 'Okay, it's going to be in AAC in a lossless codec,' the average consumer who may or may not know the difference of high definition audio might not care but they'd value it. They'll think, 'I'm getting high definition for the same price as Spotify.'" Not only that, but Tabron also went onto say that Apple could have got people used to listening to music at a less compressed file format, thus setting the bar amongst streaming services. "Moving down the line, we could get people used hearing audio at a higher bandwidth," he said. "It's not going to be a real difference on the Apple servers. I don't think they're thinking about hard drive space!" 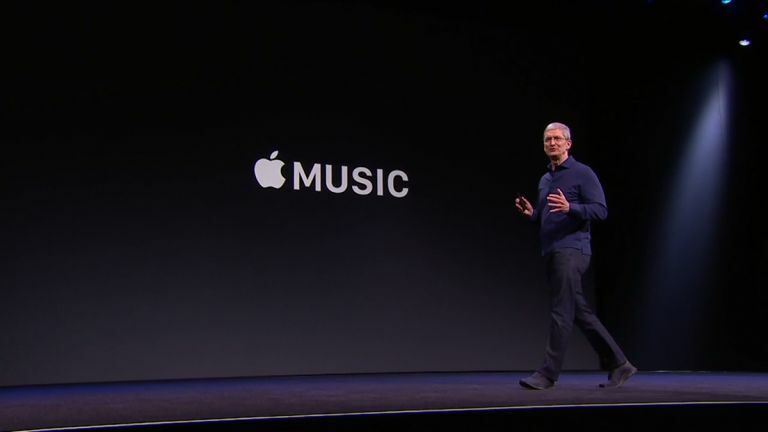 Nevertheless, Apple Music is set to make big waves in the music industry. It will offer a Spotify-like monthly subscription for $9.99 or $14.99 for a family membership. It hasn't exactly been plain sailing for Apple, though. Artists including pop diva Taylor Swift complained after Apple said it would not pay any royalties during the three month trial period, but the company has now given in.